The Russian Defence Ministry has shown the 9M729 (NATO reporting name SSC-8) cruise missile, which the US has said is the reason for their withdrawal from the INF Treaty, to foreign military attaches for the first time. However, representatives of the US, UK, France, Germany, the EU and NATO didn't attend the ministry's briefing on the missile. 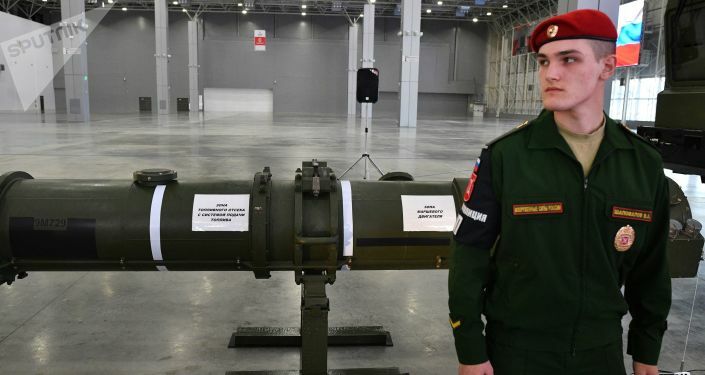 During the missile presentation, the ministry also revealed its specifications, which have caused such great concern in the US, because Washington claims that Moscow tested the 9M729 in ranges that violate the treaty. The missile has a minimum firing range of 50 km, the same as its predecessor 9М728, and maximum range of 480 km that is 10 km shorter than the 9М728's range, which doesn't violate the INF Treaty. "The distance was confirmed during strategic command and staff exercises [in 2017]", Russian artillery chief Mikhail Matveevsky said. Matveevsky also added that the missile's engine, fuel tank, and booster remain unchanged, while its warhead and guidance system has been upgraded. The warhead's modifications led to an increase in its weight and thus a drop in the missile's range by 10 kilometres. 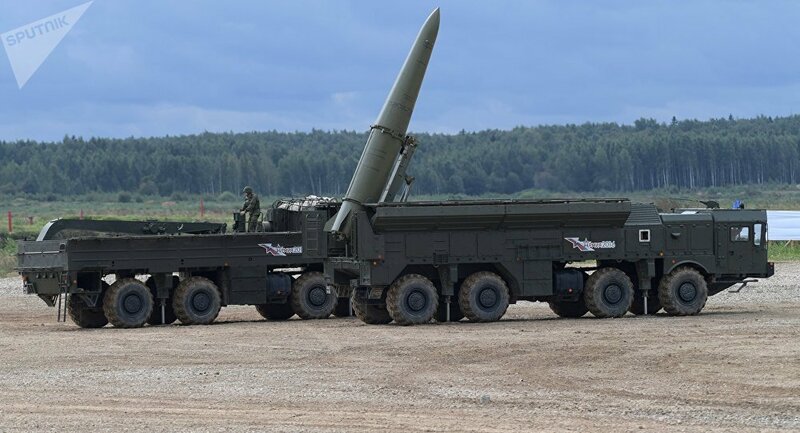 The ministry also showed the Iskander-M (NATO reporting name SS-26 Stone) launcher, modified to launch 4 9M729 missiles, instead of two 9М728 in a previous modification. The military were forced to upgrade the launcher platform due to the 9M729 being 53 centimetres longer, than its predecessor. The US claims that Russia has violated the INF Treaty by testing the 9M729 missile in ranges prohibited by the accord. Washington announced that it will start the withdrawal process from the treaty on 2 February, saying that Moscow has failed to provide proof that it stopped the alleged violations. The INF Treaty was signed by the Soviet Union and the US in 1987, and provides for the destruction of all nuclear-armed ground-launched ballistic and cruise missiles with ranges between 500 and 5,500 kilometres.